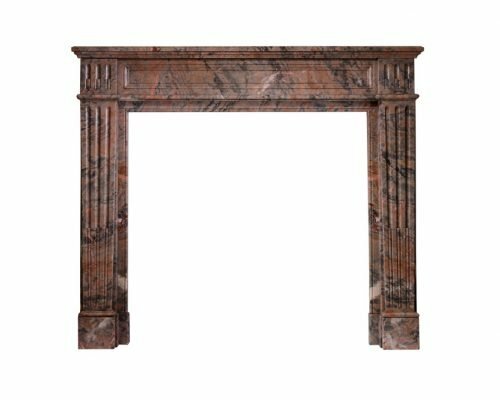 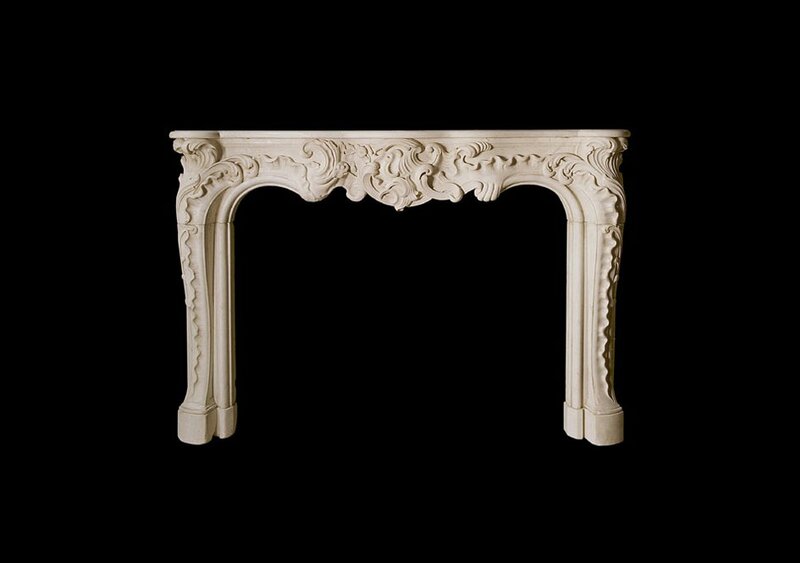 A 19th Century Louis XVI Style Rouge Royle marble chimneypiece with fluted jamb panels and panelled frieze. 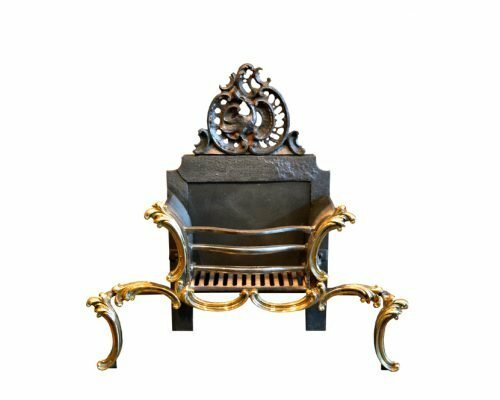 A later 19th century English Rococo iron fire grate, the shaped front mounted with brass C-scrolls in the style of Thomas Chippendale, and having a pierced ‘phoenix bird’ surmount to the back-plate. 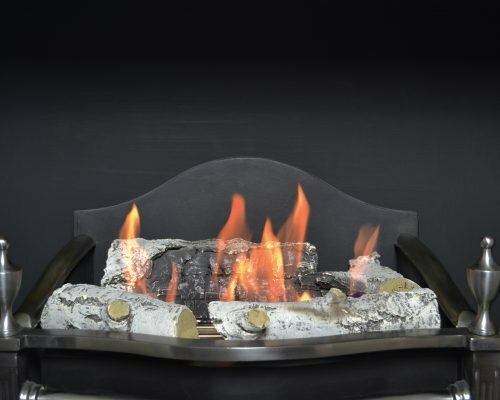 The EFBXS is a smaller, simpler burner ideal for fire baskets that will not accept the larger EFB18 burner.